The accolades for Longridge Wine Estate continue to pour in and this time the acclaim comes from internationally renowned wine writer Tim Atkin. The 2012 Longridge Pinotage and 2012 Longridge Chardonnay scored 93 and 94 respectively in Atkin’s recently released South Africa 2014 Special Report. Both wines were also included in his Best in the Cape listing, a personal selection from the master of wine according to varietal and style. According to Atkin, cellar master Jasper Raats is making an impressive array of wines at the Helderberg winery with Chardonnay leading from the front. “Understated, refreshing and oatmealy, this is taut and tangy with pear and citrus fruit flavours and fine, well balanced persistence” was Atkin’s verdict on the 2012 Chardonnay, which was also included in the Top 100 SA Wines earlier this year. Describing the Pinotage as “silky, aromatic and smooth,” Atkin commented that the “floral, musky, ginger spice-like red with its fine tannins, bright acidity and well-integrated oak showed none of the occasional rusticity of Pinotage.” Raats took a different approach in crafting the 2012 Pinotage allowing his experience with Pinot Noir and the terroir to distinctly influence the style of the wine. This experiment is definitely paying off with this vintage promising to follow in the award-winning footsteps of previous ones, which have scored consistently well in various local and international competitions and wine guides. For more information, visit www.longridge.co.za. ENDS Author: Ronelda Visser from Peridot Communications. More Info link: http://www.longridge.co.za Images: For high res version/s of One image/s please contact: Peridot Communications. 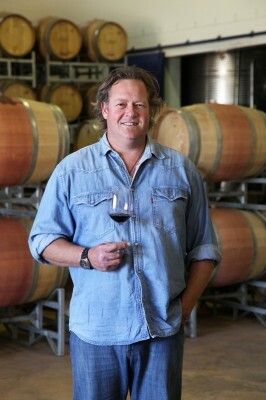 Longridge winemaker Jasper Raats Photo: supplied CLICK HERE to submit your press release to MyPR.co.za. . . .
Curb real-life Home Challenges with Modern Technology and Design What to expect from your household appliances in the modern world. JOHANNESBURG, South Africa – July 11, 2014 – In our busy modern world, daily household tasks can easily become mundane. As a result, when it comes to household appliances, the important requirements include time saving, ease-of-use and overall comfort. “As innovators, we are continuously faced with providing appliances that will turn everyday tasks into enjoyable and convenient experiences,” explains Rajan Gungiah, Business Leader for Digital Appliances at Samsung Electronics SA. “It is for this reason that we listen to what consumers really want. This is why we ensure our innovation is developed to suit the lifestyles and needs of our customers.” Gungiah highlights the following “need to know” tips for consumers looking at purchasing household appliances: Refrigerators A refrigerator’s design should always be at the forefront of food preservation, storage, organisation and meal preparation. The ideal modern refrigerator provides four different settings, ensuring that each ingredient can be stored at the right temperature. Crucial to keeping your food fresh are cooling systems and applications that will cater for constant control of the environment. Utilising of space is another factor that needs to be addressed. For example, Samsung’s Food ShowCase Refrigerator provides four clearly defined zones for frequently used foods and snacks for every member of the family. The ShowCase section only opens the exterior door of the refrigerator allowing users to find often used items like juice and snacks straight away. Dishwashers When buying a dishwasher, look out for the latest modern features that will assist in being more effective in cleaning dishes. Instead of a rotary sprayer spinning at the bottom of the dishwasher, technology that uses a sprayer that moves from back to front across the bottom of the tub is more . . . While temperatures in Port Elizabeth plummeted, the competition was hotting up in The Pastryworks kitchens as the metro's top young cooks vied for the title of SPAR Junior Chef on Tuesday. The third edition of the regional competition saw three masterchefs-in-the-making create a mouthwatering feast of imaginative dishes to impress the judging panel. Herbert Hurd Primary School learners Justin Nagan and Michael Goodwin, both 12, and 11-year-old Muhammed Yaseen Hassim of Malabar Primary sliced, chopped and stirred their way through two rounds of high-pressure cooking. For their first course, the young chefs had to prepare their signature dish, and then put a personal spin on a mystery meal. 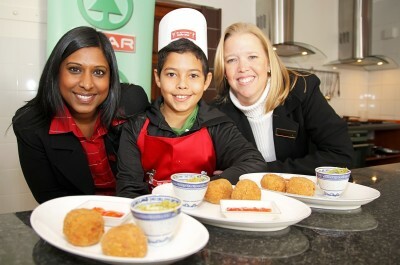 According to SPAR Eastern Cape advertising and promotions manager Wendy Westraadt, the purpose of the mystery dish was to level the playing fields by giving each contestant an equal opportunity to make the same meal but add their own individual flair. She said the three finalists stood out from the many entries they received due to the creativity and originality of the recipes they submitted. "Their submissions were really interesting and it was great to have three boys competing for the title this year." The boys cooked up a storm under the watchful eye of Pastryworks lecturer Kevin Gouws and fellow judges Westraadt and SPAR EC sponsorship controller Roseann Shadrach. "Each dish was judged according to taste, texture, presentation and level of difficulty," said Westraadt. She said Hassim's perfectly prepared pepper steak impressed the judges, while Goodwin's chocolate lasagne dessert hit the sweet spot. But in the end it was Nagan's mashed potato balls that bowled the critics over. "They were unique and decadently delicious. Aside from his culinary skills, Justin's flair, enthusiasm and presentation really set him apart," said Westraadt. "He's quite determined to become a chef when he grows up." For his efforts, Nagan scooped the first prize . . .
A landlord has approached the Property Poser panel with an interesting question regarding the ownership of an air-conditioner that was installed by the tenant in his rental property. The reader tells us that his tenant has installed a split-unit type, where the refrigeration unit is affixed to the exterior of the property, with a pipe leading to the air distribution unit on an interior wall. The air-conditioner was installed without the landlord's consent and he wants to know whether the unit now forms part of the rented premises. Sean Radue of Radue Attorneys in Port Elizabeth says a property is generally rented in a certain condition and should be maintained in more or less the original condition throughout the lease period. "This is usually subject to the provisions relating to inspection and repair, and excludes any damage that may result due to fair wear and tear." He says it is quite usual to address such an issue in the lease agreement but that the reader does not mention what the relevant provisions are. "The agreement may state that the original condition of the property is to be restored at the expiration of the lease period, in which case, the tenant should effect the removal of the air-conditioner and proper repair." The landlord will, in terms of the lease agreement, usually have certain remedies, which may include a claim of specific performance, says Radue. "In other words, he could compel the tenant to abide by the provisions of the lease agreement and restore the condition of the property to the required condition." He says an alternative would be for the landlord to claim damages to the amount of money required to restore the condition of the property. "By claiming the funds, he could see to the restoration of the property himself, thus maintaining control over the process." Similarly, the Rental Housing Act also provides that a landlord may claim compensation for damage to the property, says Radue. "The Act also . . . Award-winning wine writer and British Wine Master Tim Atkin has given a unanimous thumbs up for Raats Family Wines by awarding all six wines in their portfolio with scores of more than 91 points. These ratings will be published in his annual SA Report, which is due for release on the 1st of July. Leading the pack is the 2012 MR de Compostella with 95 points, followed by the 2012 Raats Old Vine Chenin Blanc and 2011 Raats Family Cabernet Franc on 93 points, the 2012 vintages of the Raats Dolomite Cabernet Franc and Raats Family Red Jasper with 92 points and the Raats Original Chenin Blanc with 91 points. Atkin has been a vocal supporter of South African wines and proclaimed South Africa as “currently the most exciting wine-producing country in the Southern Hemisphere, thanks to a combination of old vines, young winemakers and new thinking” in his 2013 special report. 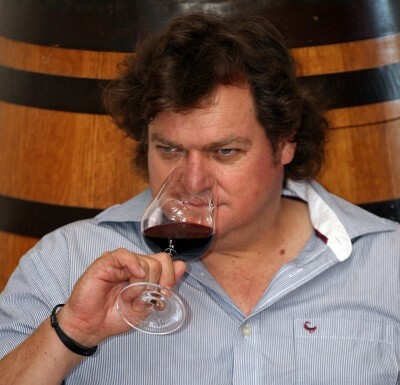 Atkin has been visiting the Cape winelands for over two decades and tasted over 1000 wines for his 2014 report. He also mentions that he feels very positive about the future of Cape wine and that he particularly enjoyed visiting the Cape at a time when the local industry is so exciting. Owner and cellar master Bruwer Raats was absolutely stumped by these results. “For one wine to be scored over 90 by Atkin is already a great achievement, but to have all my wines scoring this well is incredible. Tim has a great reputation and an international following, so this accolade means a lot. I am absolutely delighted as this once again proves that Raats Family Wines consistently produce wine of world-class quality, which has always been one of my guiding principles when it comes to crafting the wines in our portfolio. We have now been producing wines for fifteen years and there is a library of consistent, world-class wines spanning this period and standing as testament to our commitment to quality winemaking,” mentions Raats. 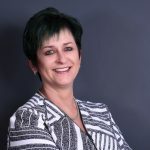 For more information, visit www.raats.co.za Author: Ronelda Visser from . . .
On Friday, the 20th of June, Ferocat(Pty) Ltd was proud to launch its first catalogue of ‘feelgood’ luxury items, creating lots of excitement in the direct marketing industry. Prospective Ferocat Business Owners and Ferocat staff members enjoyed an evening of drinks and entertainment at the company’s Cape Town head office, which culminated in a presentation of the new catalogue by managing director, Laughton Appollis. According to the presentation Ferocat Business Owners can expect to earn a substantial set commission per sale as well as performance bonuses. The extensive product range covers diverse categories such as lingerie, fashion jewellery, handbags and much more. 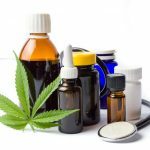 The company’s quality products, excellent support network and transparent earning structure should place it at the top of the list of part-time or secondary income opportunities. Since the Cape Town launch there has already been a huge surge in applications from people wanting to become Ferocat Business Owners, with rapid growth foreseen in the near future. Growth that will be further boosted by Ferocat’s expansion into the rest of Africa planned for August 2014. Aspiring and existing Ferocat Business Owners can look forward to the Johannesburg launch on the 2nd of July 2014. To find out more, visit www.ferocat.com or call 0861 77 78 79 to become a Ferocat Business Owner. Author: Marc Steyn from Ferocat. More Info link: http://www.ferocat.com/ Facebook: https://www.facebook.com/ferocatdotcom CLICK HERE to submit your press release to MyPR.co.za. . . . The payment and return of rental deposits appears to be a hot topic, as another reader has approached the Property Poser panel about getting back the interest on a rather sizeable deposit. The reader explains that, at the inception of his lease, he was obliged to pay a double deposit to the agency acting on behalf of the landlord. He found this odd as he was sharing the dwelling with the landlord and so, presumably, the chances of causing any damage to the dwelling was less likely. The lease has since been terminated and the reader has sought the return of his deposit together with the interest accrued. The agency refuses to return the interest on the deposit, stating that any interest accrued on the deposit belongs to them. According to Schalk van der Merwe from Rawson Properties in Somerset West, Cape Town, the Rental Housing Act states that the deposit amount is determined by the amount recorded in the lease or as otherwise agreed by the parties. "The Act also sets out that a deposit should be invested in an interest-bearing account for the benefit of the tenant but subject to the applicability of the Estate Agency Affairs Act, in which case the relevant provisions should apply." Van der Merwe says the reader has provided two relevant extracts from his lease, the first of which states that ". . . this deposit amount will be placed in a bank account and the landlord will pay the tenant this amount plus interest earned when the lease ends if the tenant does not owe any money to the landlord for any of the reasons provided for . . ." The agreement also makes provision for the situation where the deposit is given to an estate agent and not the landlord, stating that the ". . . agent will invest the deposit either in a bank or in accordance with the rules of the Estate Agency Affairs Act". As his contract specifically provides for the return of this deposit together with interest thereon, the reader is of the opinion that the refusal of the agent . . . Helping a Mama out. How the humble refuse bag is feeding families. The humble refuse bag has become the unlikely hero for approximately 100 previously unemployed women in Kwa-Zulu Natal. Thanks to the vision of Supa Mama founder Thina Maziya, hundreds of waste collectors now earn a weekly income that helps to feed their families. 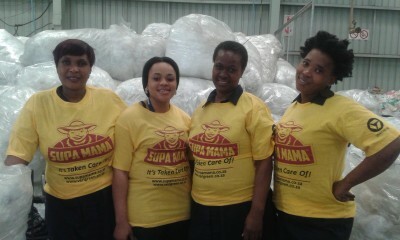 The competitively priced Supa Mama refuse bag uses recycled plastic to produce recyclable bin bags. Available to purchase in Spar, Shoprite/Checkers, OK Foods, Game and other Masscash stores, buying the Supa Mama refuse bag means shoppers are ensuring work for hundreds of women and saving 5 tonnes of waste from reaching landfill each week. Supa Mama refuse bags join the growing league of businesses in SA that have social and eco enterprise woven into their foundation, such as Tich Smith’s LIV Eggs and LIV Flowers. “Supa Mama is not offering a quick promotion, with temporary feel good eco and social benefits. The more Supa Mama refuse bags we sell, the more Mama’s we can provide work to and the more rubbish we can keep out of dumps,” said Maziya. Maziya’s innovative business model allows her to cut out the middleman and deal directly with the ‘Mamas’, ensuring she is able to pay them the best price for their recycling efforts. “We realised that the Mamas were walking far to collect their plastic, and could not carry the waste collected over long distances, so we set up collection points around the province to assist them in increasing their volume. We’ve also set up a safe SMS weekly payment system via Absa CashSend so our Mama’s don’t have to carry cash,” says Maziya. Supa Mama aims to provide work for over 500 Mamas, and will look to start a Mama-owned fleet of trucks to service the growing logistical needs of the firm. “We could set up a logistics team, but we want to give the Mamas the opportunity to grow with us,” said Maziya. Maziya’s business is helping the Mamas establish a sense of pride in what they do, all while promoting a sense of community amongst the women. This female solidarity . . .
A tenant has asked the Property Poser expert what he should do about reclaiming his deposit when the rental agent has been declared insolvent. The reader writes that he has rented a property for the past five years and is now vacating the property. An agency acted on behalf of the landlord in managing the rental process and the reader would now like his deposit returned. However, the reader complains that the landlord refuses to return his deposit as the agent is under sequestration and he would like to know what his rights are. According to Sean Radue of Radue Attorneys in Port Elizabeth, a deposit is typically lodged at the inception of the lease to provide the landlord with security in the event that the tenant damages the property. "It ensures there are funds available for the landlord to make the necessary repairs to the property, restoring it to the condition it was in at the beginning of the lease - fair wear and tear excepted." Radue says the Rental Housing Act lays down the requirements for the holding of a deposit by a landlord. "In brief, the amount should be agreed upon and should be deposited in an interest-bearing account for the benefit of the tenant." The deposit, together with accumulated interest but less any permitted deductions, should be returned to the tenant within 14 days of the rented property having been returned to the landlord, he says. "The matter is regulated differently where an agency is involved, as the agent is required to hold the deposit under the provisions of the Estate Agent Affairs Act." Radue says the agent is regulated and required to administer funds held on behalf of others in a similar manner to that in which an attorney is required to. "That is, it must be held in trust and with accounting and auditing mechanisms being adhered to, without which, the agent may not be issued with a fidelity fund certificate." To help the reader determine the possible way forward, he says it may be useful to . . . This week the Property Poser panel considers the issues surrounding panhandle properties and the pros and cons of purchasing one. A reader writes that she is interested in buying a property situated on a panhandle-shaped piece of land. She explains that the property has been on the market for a considerable period of time and is concerned that there may be problems in purchasing such a property. The reader does not want to discover any unforeseen problems at a later stage and then be unable to sell the undesirable property. According to Schalk van der Merwe from Rawson Properties in Somerset West, Cape Town, a panhandle is usually characterised by a long driveway that runs alongside an adjacent property and leads to the rest of the property where the buildings are usually situated. "Generally, the panhandle shape arises from the subdivision of a larger piece of land. The long, narrow 'handle' portion is simply there to allow access to the property." Van der Merwe says this is typically the case where the portion subdivided from the main property falls towards the back of it. "The 'handle' is usually then made available to the newly separated portion by way of a servitude which is registered over the 'driveway'." This is arguably one of the biggest drawbacks of a panhandle, as one is somewhat reliant on the other landowner's observance of the servitude, says Van der Merwe. "Access shouldn't be a problem where the driveway is properly separated off from the other property by way of a wall or fence." Van der Merwe says it is preferable that the access or driveway portion be clearly demarcated as these areas are often quite narrow to begin with and further constriction would make reversing out quite tricky. "A further potential problem is that parking for guests and visitors may be restricted and parking within the property itself may not be possible due to space constraints." This could be a problem in high crime areas, as the . . .